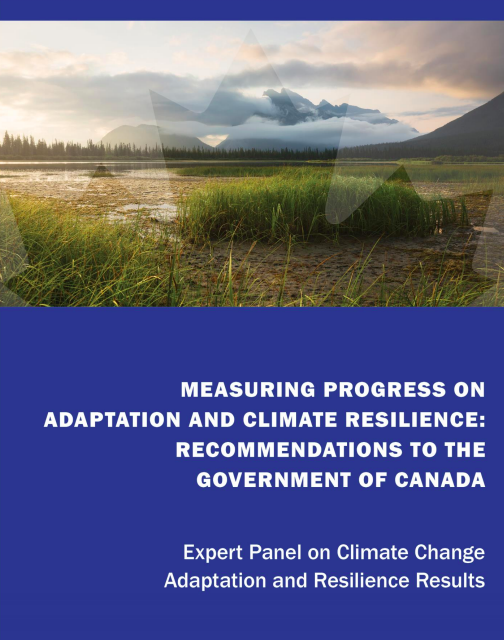 The Expert Panel on Climate Change Adaptation and Resilience released on June 26th the report titled Measuring Progress on Adaptation and Climate Resilience: Recommendations to the Government of Canada. The Executive Director of ACT, Deborah Harford is a member of the Expert Panel and we would like to draw your attention to the conclusions. This report is a product of the Expert Panel on Climate Change Adaptation and Resilience Results, comprised of members from Indigenous organizations and governments, academia, the private sector, government, non-governmental organizations, and youth organizations. the Expert Panel was established to provide advice to the Government of Canada on measuring progress on adaptation and climate resilience.